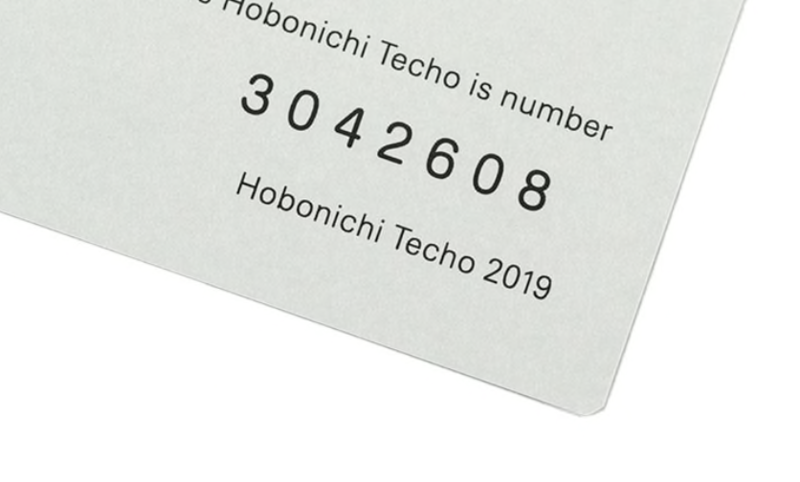 The cult Hobonichi Techo is here for 2019. 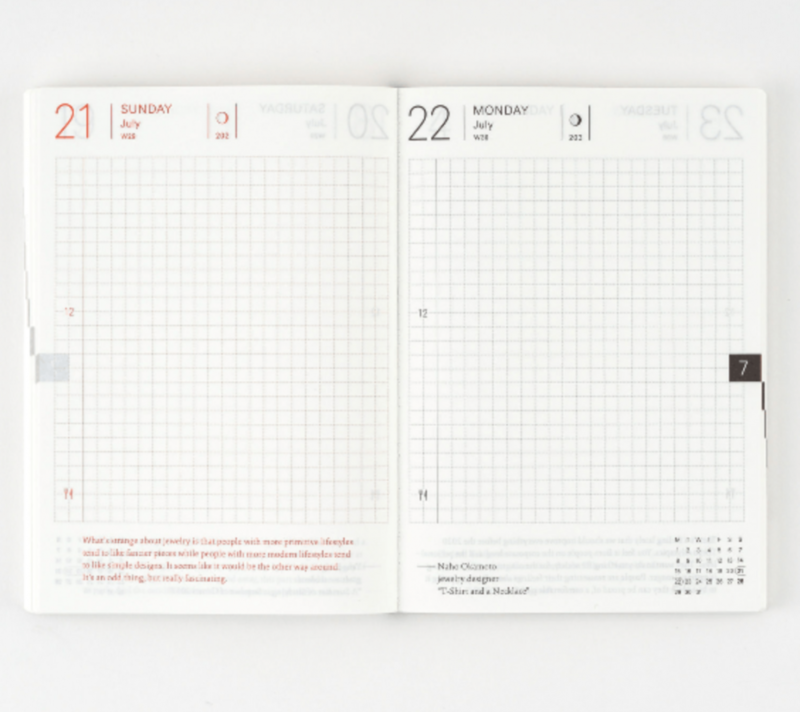 Hobonichi Planner is a compact daily planner with user-friendly layout in English. Hobonichi Techo book has been refined and simplified to make it easy to use in all countries and languages. 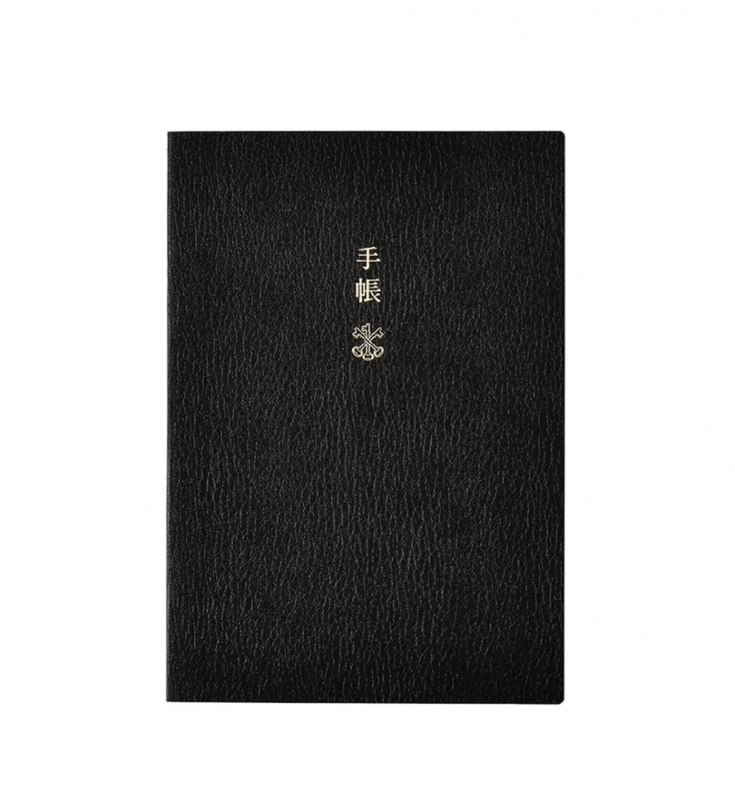 It still contains all the beloved features of the Original Japanese edition, such as the compact A6 size, one page devoted to each day, daily quotes, lay-flat binding, and more. The graph paper in the English version is slightly enlarged to 4 mm to allow users to write comfortably in any language. 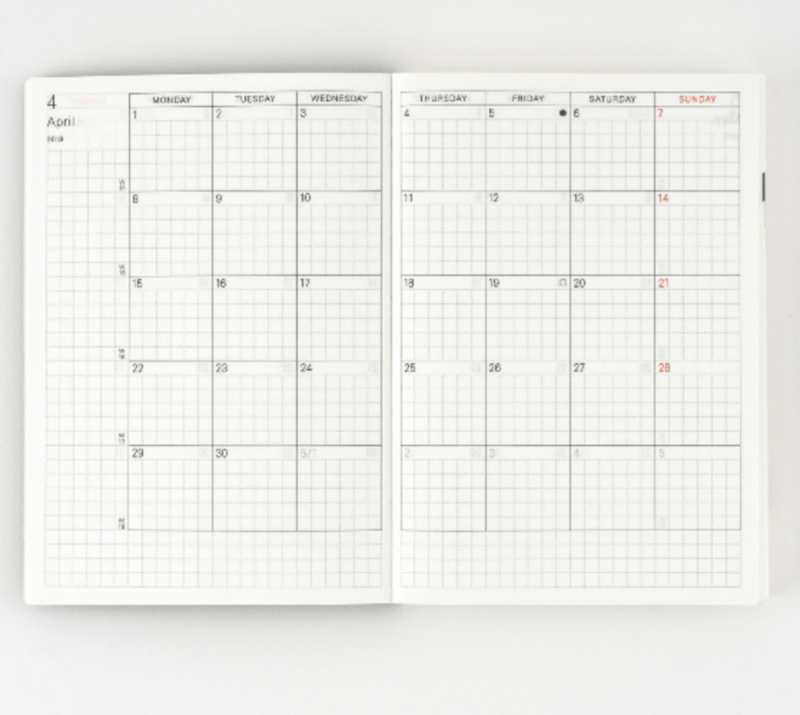 Timelines are simplified to a single 12 to denote noon so users can completely customize it to their own schedule (or ignore it completely), and each day is also labeled with the number of the consecutive week that year, from 1 to 52. Features such as a list of international holidays and international size charts cater to the worldwide community that comes together through this book. In addition, the 2019 edition includes informational pages in the back of the book about historical Japanese household items, an ancient system called the Earthly Branches, and an introduction to traditional sweets from around the world. 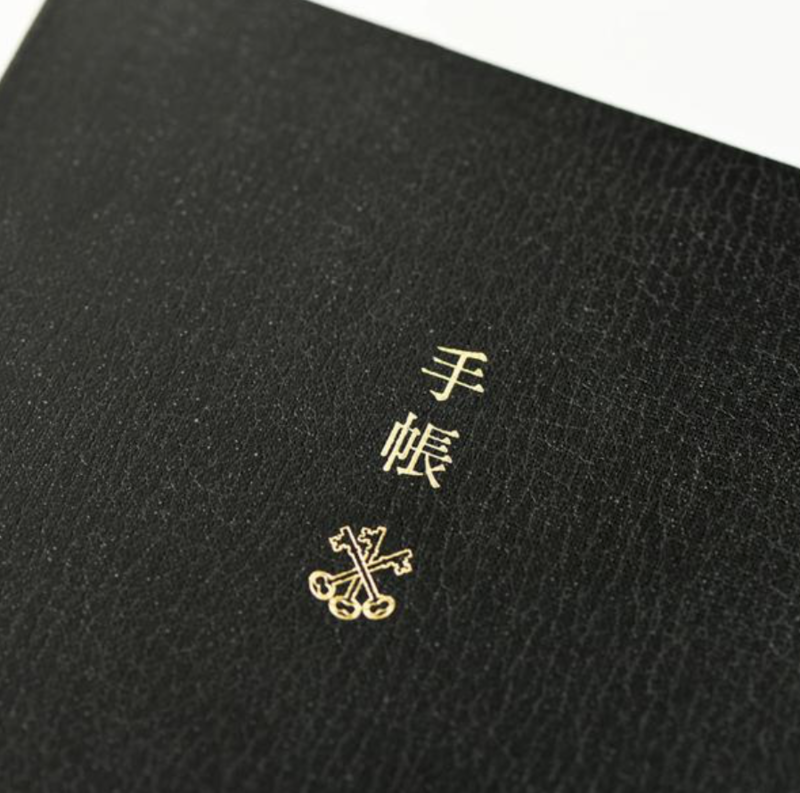 The book has a chic, black textured cover subtly engraved with the Japanese characters for “techo”. 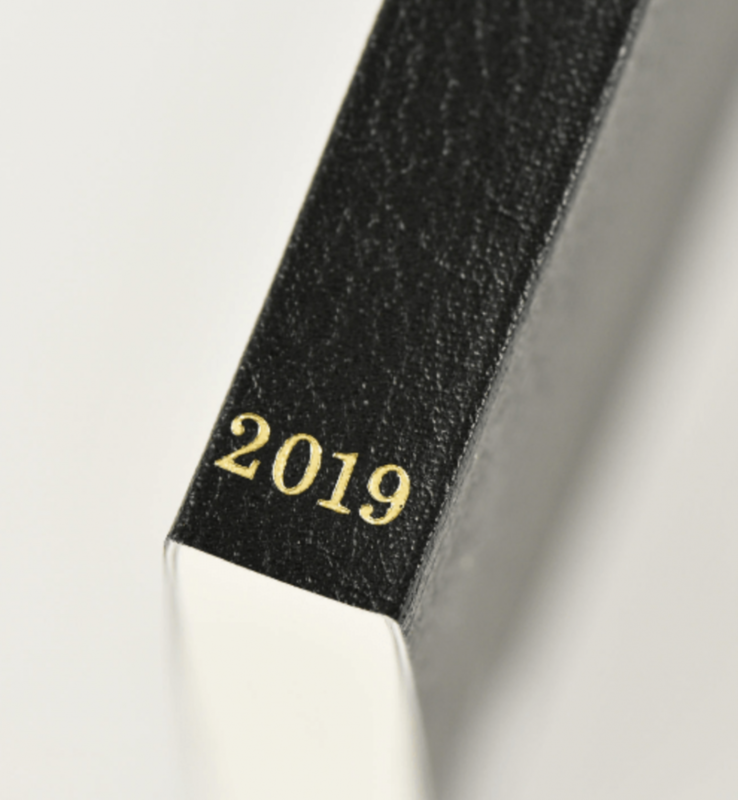 The book is also engraved with the year 2019 on the book spine. 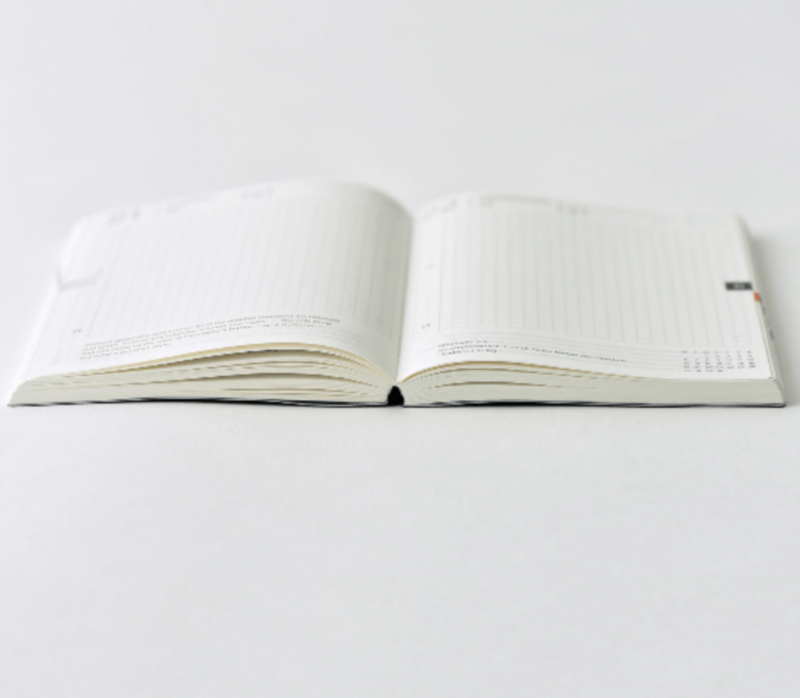 Thin, light Tomoe River paper resistant to bleeding and designed for planners. 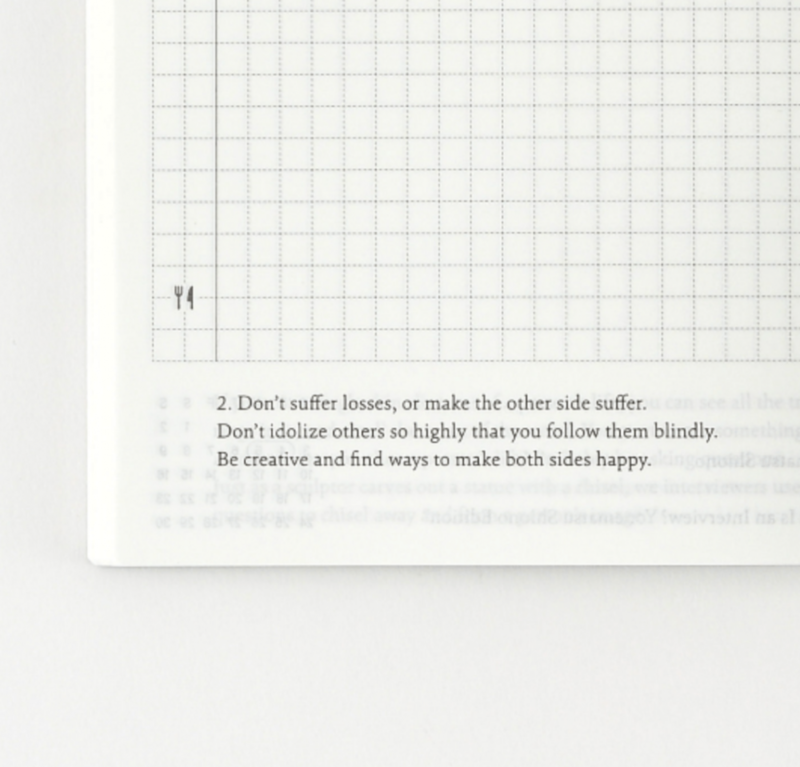 Every two-page daily page spread includes one daily quote.